I don’t usually research a destination before I go. It’s probably negligent of me and something I should change, but many of my biggest travel surprises have come as a result of this. I do, on the other hand, research a little deeper once I arrive to a place, and try to learn more. But researching before I arrive? I can’t be bothered much of the time. My research negligence led me to be in such a state of awe throughout my entire Abkhazia stay. Aside from researching how to get there (which, trust me, was severely lacking information on the web), I knew very little about what was going to happen once I arrived. I had heard about Abkhazia on the news as a kid and knew that it has been in a state of war in the early 1990s. I also knew that another war had occurred there in the late 2000s. And for whatever reason, they were now considered part of Georgia and not independent, as they had long wished to be. I’m not going to get into politics here or my opinion on the situation after having visited, but I will state that being in Abkhazia felt 100% different than being in Georgia. In no way did I feel that I was in part of Georgia. Abkhazia has its own culture, language, and history. 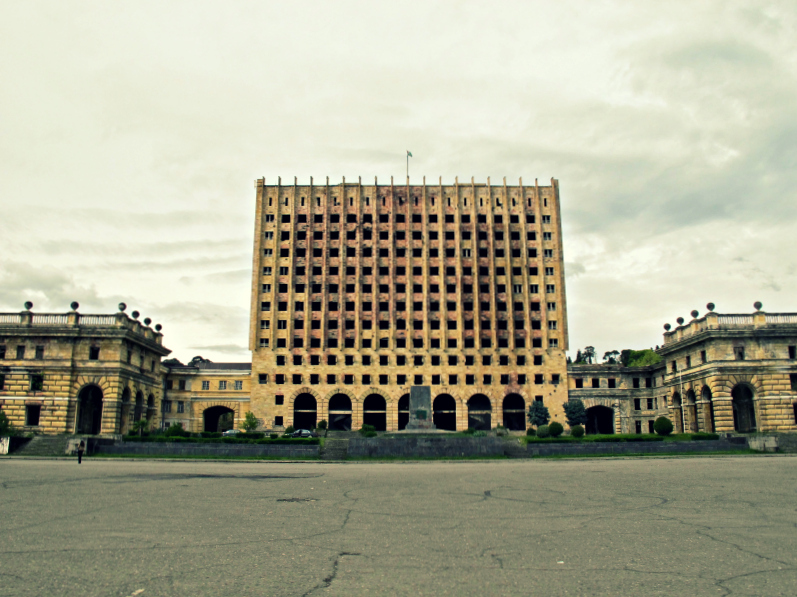 In the 1989 census in Abkhazia, there were 525,061 people registered living in the ‘country’. As of 2011, there are 240,705 people living there. The population has halved since the war in the early 1990s. And unfortunately, when a country loses half of its population in such a quick manner, it ends up with lots and lots of abandoned buildings. This harsh reality is a slap in the face to the Abkhaz people each and every day as they are forced to relive their recent tumultuous history. And there is actually nothing that can be done about it. 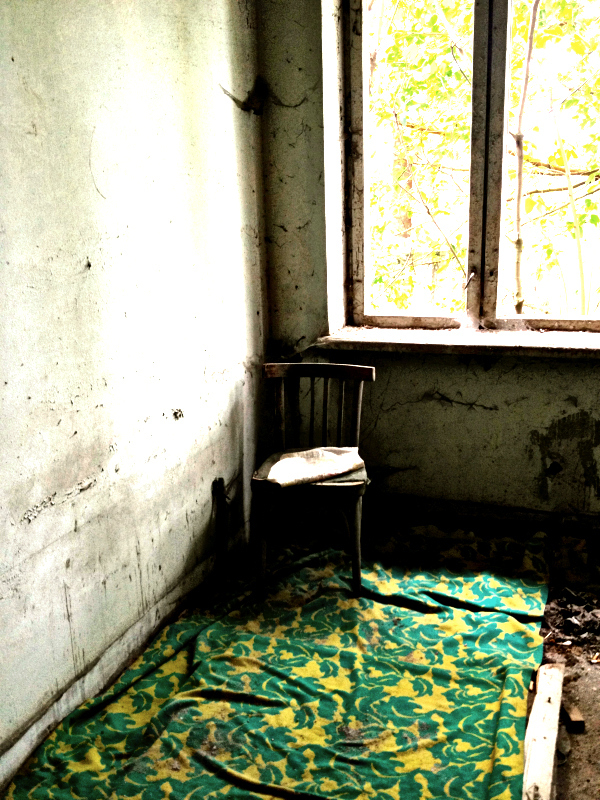 For every occupied building I saw, I undoubtedly saw one abandoned building right alongside with it. It was nostalgically haunting in every way possible. But it left me intrigued. It left me wanting to see Abkhazia from the eyes of someone in pre-war. 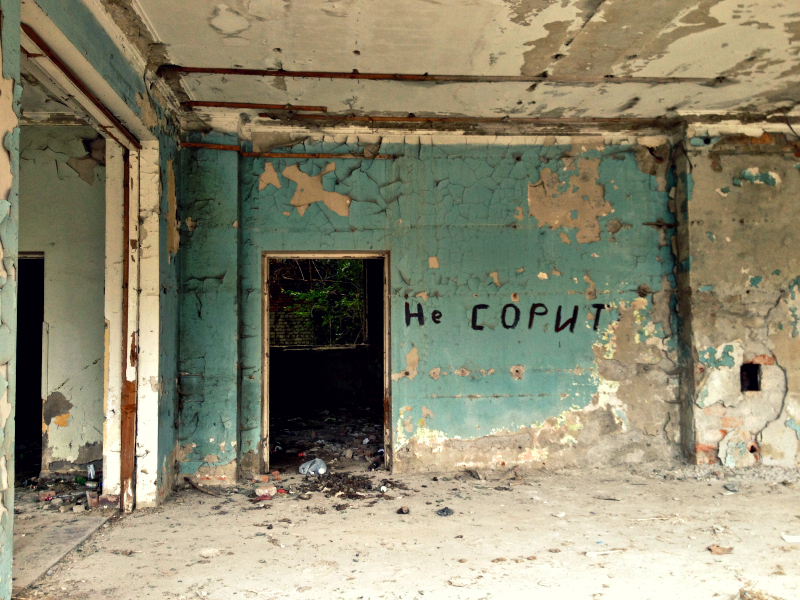 I knew I wouldn’t leave Sukhum without going inside some of those buildings that stray dogs now occupied. I went to the Promenade and had a beer and a shot of vodka (for courage of course) and headed for a nearby abandoned bloc to explore it as much as I could. It turns out that these buildings have taken quite a beating over the years and wars. With the exception of some scraps and furniture, not much was left indicating previous signs of life in the blocs. But it wasn’t just the buildings that had been abandoned. Boats, soccer fields, carnival rides… All of it was a sign that time stands still in Abkhazia. wow, i’ve never heard of the name before. just glad i read this on your site. What an incredibly fascinating place! What a history! I can’t fathom a place that loses half it’s population in such a short perioud. The abandoned buildings must have had such an eerie quality about them. you convince me more and more that I should go to Abkhazia as soon as possible! I can’t wait for more posts! one of these days we can return together! would be more fun to share the experience with someone!